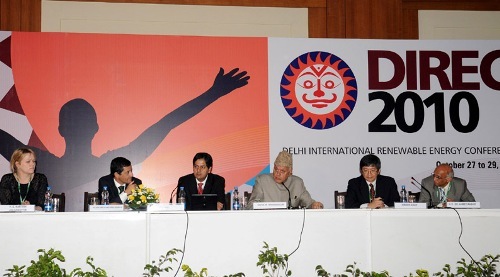 At the Delhi Airport's integrated T-3 Terminal Inauguration in July, 2010: Prime Minister, Dr. Manmohan Singh, along with Chairperson, UPA and National Advisory Council, Smt. 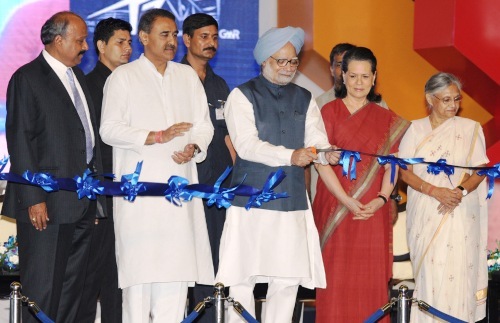 Sonia Gandhi, Minister for Civil Aviation, Shri Praful Patel and the CM of Delhi, Smt. Sheila Dikshit In September 1985, under the leadership of India's youngest prime minister Rajiv Gandhi, India first got its own Ministry of Environment and Forests. This year the ministry has proudly completed 25 years in the service of protecting and preserving the environment of the country. The interest and vision was shared by his mother, the first lady prime minister of the country. Mrs. Indira Gandhi had brought out the country’s first Wildlife Protection Act in 1972. And she had launched the first Tiger Project in 1973. Last updated by DG Correspondent at November 15, 2011 .